Recent news reports have indicated that, once again, minority enrollment in New York’s eight specialized high schools was disappointing. Responding to this, New York City’s Mayor Bill de Blasio has called for a change in admission criteria to allow some students who do not quite make the grade on the standardized admission tests to be, nevertheless, granted admission into these eight schools. It’s little wonder why students desire such admission: these schools have historically produced some of the most successful students in New York City. But admission to these schools is based on exam performance. In three of the eight schools, State law mandates the exams as the method of admission; in the other five, similar admission criteria were developed. The admission tests have been evaluated for cultural sensitivity. Despite this, minority enrollment has lagged to the point where, in the most selective of these schools, fewer than 1 percent of enrolled students are Black. This is despite the fact that more than 50 percent of New York City high school students fall into that category. In an effort to balance the school’s enrollment, Mayor de Blasio proposes modifying admission criteria to include some students who have not performed as well on admission tests. Others have suggested remedies such as eliminating the admission tests completely. Recently, Rep. Alexandria Ocasio-Cortez simply asked, “Why can’t all the schools be like Brooklyn Tech?” (one of the eight specialized schools). Underrepresentation of minorities in elite city schools is, indeed, a major problem — one that dovetails with a continued lack of integration of New York City schools in general. Both of these issues need solutions. The disparity in admissions of selective schools and lack of integration has been recognized for decades, but any number of attempts to address the issue in incremental ways, or through “school reform,” have proven relatively unsuccessful. Using a medical analogy, altering admission criteria to specialized high schools will certainly increase minority representation, but this represents treating the symptom, not the disease. The truth is too few students in New York City elementary schools and junior high schools are adequately prepared for the rigorous environment of the city’s specialized schools. Less than 47 percent of New York City third to eighth graders perform at grade level in English, and less than 43 percent achieved proficiency in math. Such students can’t be expected to undertake arduous coursework in specialized schools, some of which may include calculus in ninth and 10th grade. The problem is not who gets admitted, but rather how well students are prepared. Nonetheless, there are some things that can be done both at the elementary and high school levels to improve both minority representation and student outcomes at specialized high schools. Kamala Harris, a U.S. Senator from California, recently proposed a national program to increase teacher’s salaries. Having more qualified teachers in city classrooms will certainly make a measurable difference, and showing greater appreciation for these teachers is clearly warranted. However, any increase in teacher compensation should be tied to an increase in contact time with students, which could be represented by a longer school day, or by extending the school year. While charter school experience in general has been mixed, the successful schools have pointed to an increase in contact hours as a major driver of student success. Particularly in communities where students lack after-school support, longer school days, together with more creative programming, can potentially boost academic performance. Teacher’s salaries should be increased, but so should the amount of time they spend teaching. More, teachers need to be held accountable for their students’ performance. While there is little question that many of the initiatives undertaken to improve city schools in general — and New York City schools in particular — have been good faith attempts, political constraints and advocacy for worker’s rights often drive educational decisions. Notwithstanding the need to better compensate teachers, the primary goal of our schools should be student preparation for high school and the workforce. Changes that can help students learn better must be implemented — even those changes that interfere with preconceived notions of employee policy. To address under-performance of certain segments of New York City public school students, a laser-like focus on student outcomes must stay be maintained. The NY State legislature recently voted to eliminate student performance on tests as a criteria for teacher evaluation. If, indeed, it’s felt that those tests are flawed, other mechanisms for measuring student outcomes must be substituted. While there is a great deal of difference between high school students and medical students, we faced a similar dilemma at our institution in our attempts at the Touro College of Osteopathic Medicine to increase minority enrollment. As with admission tests for specialized high schools, minorities under-perform White and Asian students on the medical college admissions test. To remedy this, one approach used by many medical schools, similar to the approach used by colleges for SAT scores, is to change the required score for minority students. We tried a different approach. A one-year Master’s program admits students even with average scores on the medical college admissions test. In that environment, we have been able to gauge whether these students can successfully complete medical school work. When initiated as a pilot, the program required some tinkering: our initial GPA requirements for admission to medical school were too low and those students substantially under-performed students admitted through the traditional pathway. However, after adjusting the admission GPA, we developed a cohort of students — minorities among them — who have shown their ability to do medical schoolwork despite substandard scores on the medical college admission test. Those students now only slightly under perform their peers in medical school. Thus, the effects of a single, high-stakes admission test can be mitigated by including academic performance in a standardized environment as a criteria for admission. Applied to specialized high schools, a program might look something like this: After junior year in high school, students could enter a summer program that rigorously evaluates their ability to do advanced high school work. Those who succeed in this program would be granted admission, even if they were unable to obtain the scores needed for admission into the specialized high schools. A pilot program could begin just as we did with a single school and a single cohort of students who would then be followed for high school performance. Together with improvements in K-8 education, this program could potentially identify a cohort of students capable of tackling rigorous high school work. It would allow students who can succeed to be admitted to these schools without diminishing the quality and rigor of course work at schools such as Stuyvesant or Brooklyn Tech. Admission for students who do well in school but who have not quite mastered standardized tests is not a new concept. At the University of Texas, the top 10 percent of high school students are admitted regardless of other metrics. Given the level of performance at some New York City elementary schools, it is unclear that even this relatively high bar would select students who are academically qualified for specialized high schools. However, it could be worth a pilot to test this notion. One school — perhaps with a high minority enrollment — could be used for several years to test this phenomena, just as Touro did with our medical school pilot. After one or two years, the academic performance of those students admitted using the new criteria could be compared with students admitted through the single-admission test. I am not convinced that those students will succeed, but testing that hypothesis will allow for a better approach to driving student success in the future. One concern raised by parents in various school districts, similar to that of the lawsuit against Harvard College, is the contention that increasing enrollment of minorities at specialized high schools will come at the expense of other “better qualified” students — more often, New York City Asians. That concern is real but should not be an excuse to avoid an attempt at helping underrepresented minority students to succeed. While it would require reallocation of resources from other high schools (such as poorly performing ones that might be closed), a simple solution has been proposed and does exist. A ninth specialized high school with a class size as large as the students admitted under new criteria could be created. This would ensure that students who would currently qualify will not disadvantaged by creating an alternative pathway for other students to be admitted. While allocating these resources might be challenging, given the current budget, if it allows other groups not to feel disadvantaged, it is well worth the investment. Like many other city school systems, the New York City school system (despite some small, recent improvements) does not do a good enough job of preparing many students, and in particular minority students, for demanding high school work. The consequences of this failure reverberate not just on the high school level, but also will continue to drive income- and asset-inequality going forward. Students who are not academically well prepared in elementary school, and are then not exposed to rigorous challenges in high school, will remain ill-equipped in a globalized, entrepreneurial, high-tech economy. To address this, we must eliminate preconceived notions about elementary school education and focus on improving student outcomes. We must also acknowledge that, in some cases, for some students — particularly those unable to afford test preparation — a single, high-stakes exam can have its limitations. Without suggesting that we compromise the academic rigor of high school education, or admit unprepared students, a challenging summer program to demonstrate academic performance could create an alternative pathway for highly successful academic students, affording them opportunities to prove that they do indeed deserve admission to elite high schools. 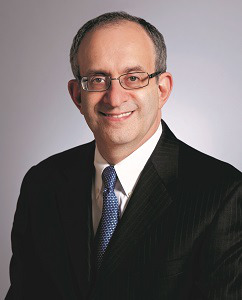 Dr. Alan Kadish is president of the Touro College & University System.